There are many ways in which you can make an important contribution to Otley Courthouse’s work and its future. The most immediate is to come along and enjoy Otley Courthouse events and to tell friends about our fantastic art, music, theatre, dance, film and activities programme – not to mention the scrumptious food served in our cafe. Another way of helping is to become an Otley Courthouse Volunteer. 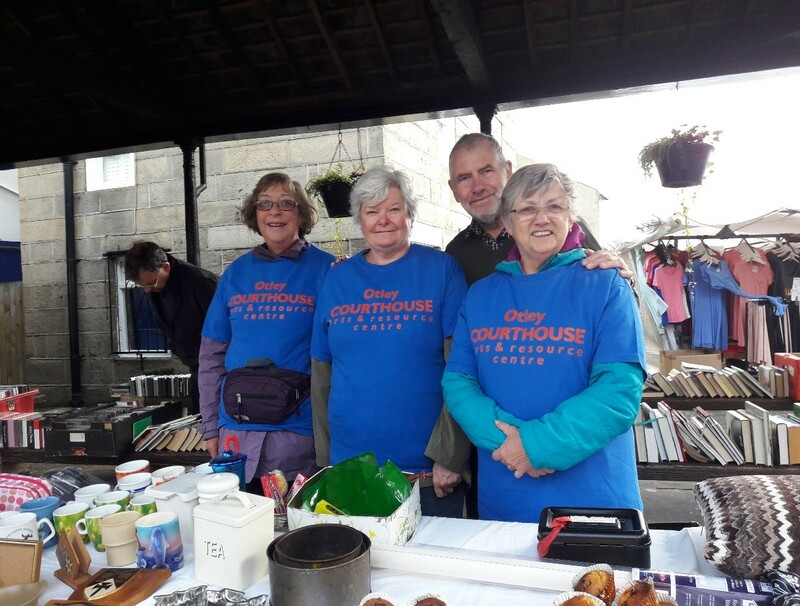 Volunteers are the lifeblood of Otley Courthouse. There are many opportunities in which you can become involved with the work of the Courthouse and its future and volunteers play a crucial role in a variety of ways – fundraising, covering reception during the day or serving in the Courthouse Café: you could steward at evening events, help provide technical support or you could even join the Heritage Group and assist with guided tours. There’s bound to be something to suit your skills and interests. Otley Courthouse has a team of over 120 volunteers. As well as making a vital contribution to the local community, volunteering is an excellent way to socialise, have fun and meet new people. We issue a quarterly Volunteers’ Newsletter so that you can keep up with what’s going on and arrange social events for volunteers, their friends and family members throughout the year. We also offer work experience placements to students and young people who are completing their Duke of Edinburgh Award.